Variety Coffee — The Wandering Coffee Co.
Well, we certainly haven’t forgotten our friends and community we’ve been busy building over the last few months, but we’re overly joyed to have made some new friends at the start of this year! 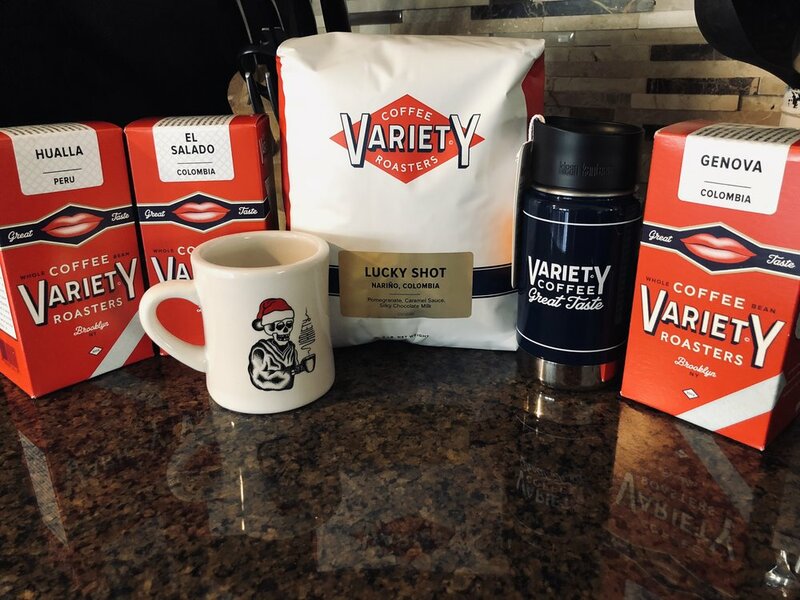 We were fortunate enough to get in contact with Variety Coffee Roasters at the beginning of January, and they completely overwhelmed us with gifts and coffee treats! At first, I thought it was a bit pretentious to send so many goodies, but then I started sampling and looking closely at their products.. I wouldn’t be ashamed to show off either! The packaging on these products is what first caught my eye. Rather than your standard bag the coffee is sold in a cardboard box that stacks neatly on your shelves, and honestly, looks pretty rad to display. The box art gives off a vintage, yet edgy look, sort of like the coffee that’s inside. 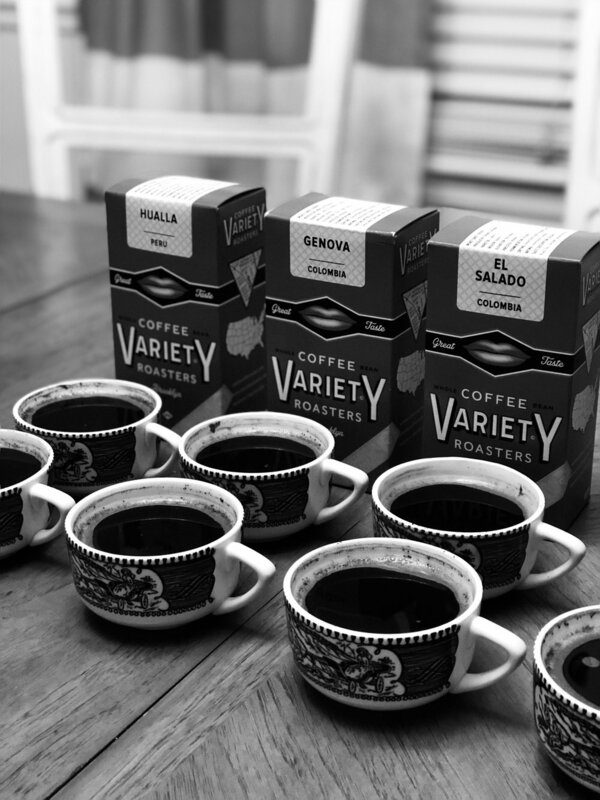 Variety Coffee started out as a small cafe in Brooklyn, NY in 2008 and has since added four more store fronts, and begun expanding their wholesale operation. Quite frankly, i’m glad they have. The world needs to try these beans! If you’re interested in some Variety swag or coffee to try for yourself, check out their site here. We sampled four different single origin varieties, one from Peru, and three from different regions of Colombia. A couple of friends came over and we cupped each variety, trying to pinpoint the different characteristics of each. The key takeaway for me with this coffee was just like the packaging: vintage, but edgy. There was a dark smoky profile to each of the roasts, which usually turns me off, but Variety has pulled it off just right. 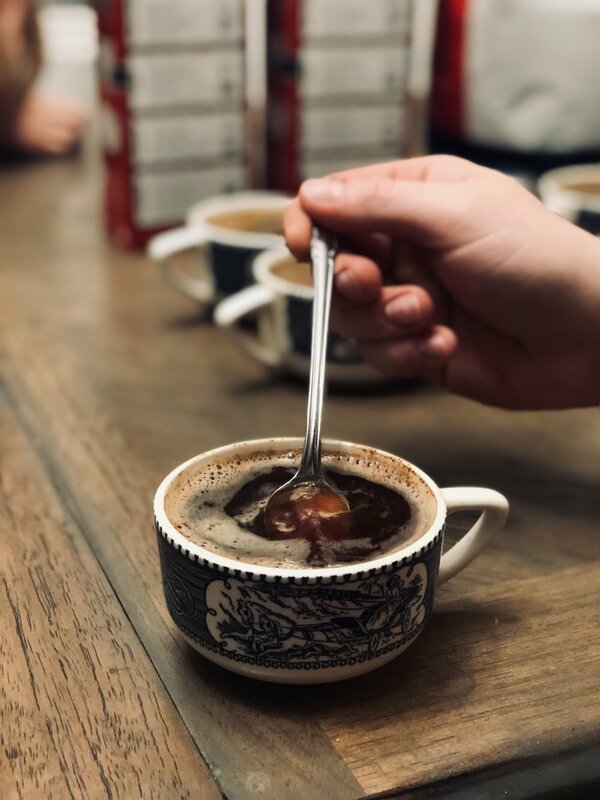 The aromas were strong and reminiscent of days gone by, almost like having a cup of coffee at a 50’s style diner, or at your grandma’s house after dinner, BUT in a good way. As soon as you take a sip you’ll find the edge. Fruity notes start singing, and the flavors are all smooth and buttery, not dark and bitter like that cup at the diner. It’s completely apparent that these aren’t some commercial beans thrown in a hopper and charred to even out the flavor, they were roasted deliberately and intentionally, and I loved it. These guys have a purpose and a focus that they don’t just speak, they live. They want the people to have a good cup of coffee whenever and wherever. A lot of folks sell great coffee, but not many sell it like they do. While there is definitely a wealth of knowledge on Google and Youtube for the home barista, there is a certain segment of the market that want’s good coffee, but they don’t want to have to look up grind size and ratios all the time and try to keep all that in their brain. They’re busy raising kids and living life, SO Variety decided they’d be so kind to put this handy little chart on the back of each box with four of the main at home brew methods, pour over, Chemex, French Press, and Cold Brew. The chart tells you exactly how much coffee to use, and how to grind it, as well as how much water to add, and how long the brew should last. After thoroughly sampling each of the varieties, we couldn’t stop. 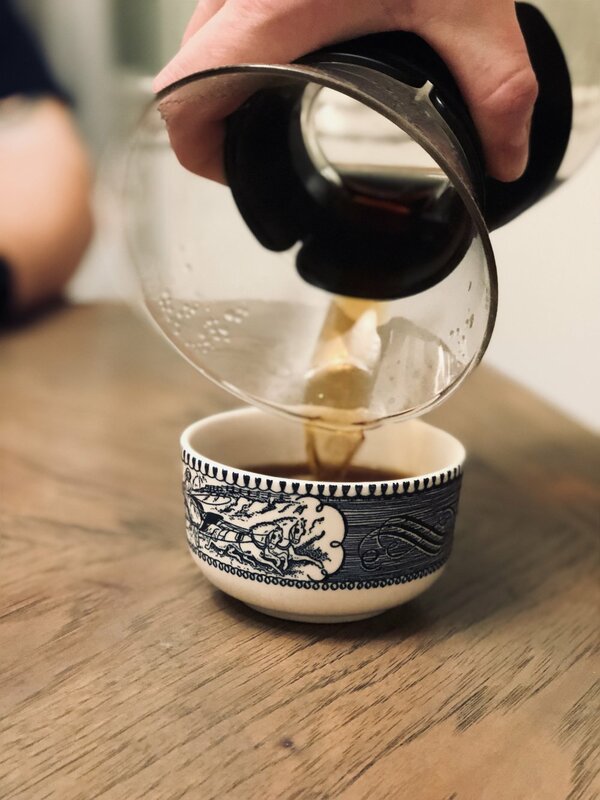 We made a few pour overs with each and stayed up for hours playing dice and chatting about the future, past, and as much as we could, the present. There just aren’t enough days like that in our lives, and I’m so grateful for each one of them I get. To us, and to Variety, that’s what coffee is about. Friendships, and community, and I’m thankful Variety was able to send us a piece of their community.